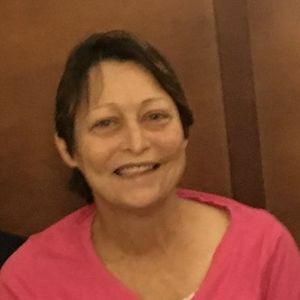 Tina Marie Matherne Matthews, age 51 of Holden, Louisiana, passed away on Wednesday, March 13, 2019. She was born on Thursday, August 17, 1967, in Marrero, Louisiana. Tina is survived by her daughters, Starr Hughes and Destin Waller; son, Dustin Waller; grandchildren, Blake Hughes, Jasmine Hughes, Jaylyn Waller, and A.J. Waller; father and step-mother, Gilbert and Susan Matherne; mother, Sondra Baio Watson; and her sisters, Katie Matherne, and Bambi Watson. She was preceded in death by step-father, Doug Watson. Family and friends will be received at Harry McKneely & Son Funeral Home in Hammond, Louisiana on Monday, March 18, 2019 from 10:00 am until 1:00 pm. Services will be held in the funeral home chapel in Hammond, on Monday at 1:00 pm. May the good lord lay his healing hand on your family and allow Tina to rest in peace without pain. So sorry to hear about Tina passing. Wish we could attend Donald will be working out of town. Sending prayers to all family.